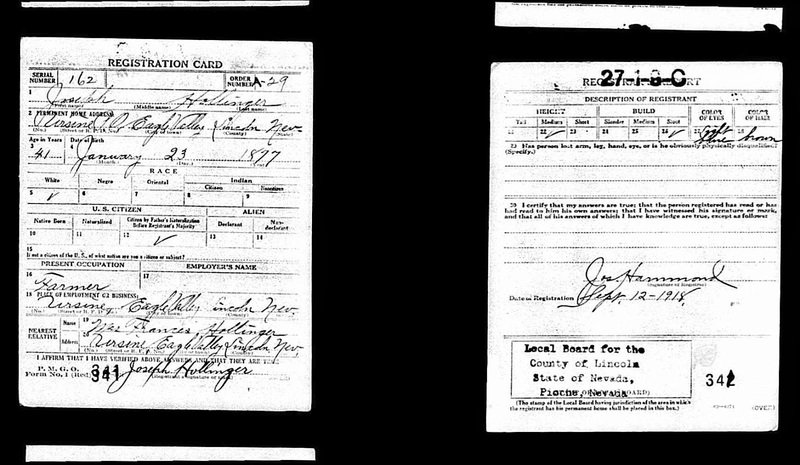 William Alexander Hollinger is my great grand father. He came to Nevada from Ireland. 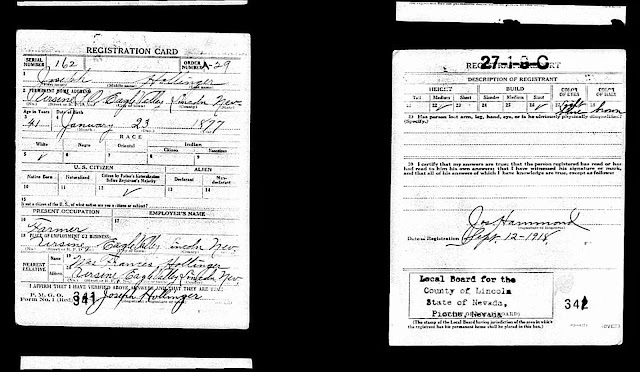 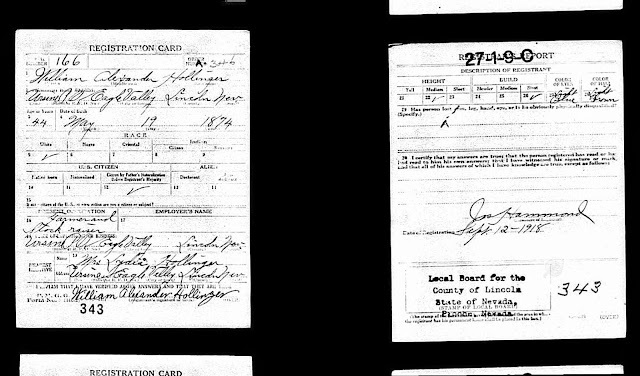 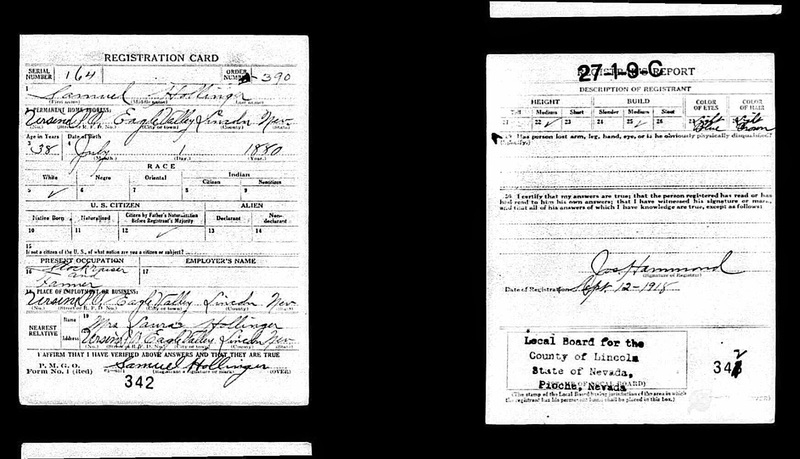 Below are the World War I Draft Registration Cards of him and his 2 younger brothers.